There’s a lot going on behind the scenes in your abdominal and pelvic areas, and not all of it is good. Abdominal and pelvic pain can be caused by any number of conditions, which can affect your nervous system, causing you localized and radiating pain. 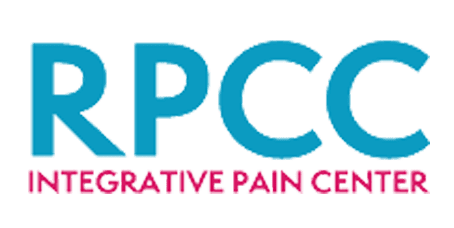 The pain specialists at Regional Pain Care Center offer a number of procedures that provide relief for their patients in Allen, Texas. If you’re suffering from nagging pain around your midsection, call or schedule an appointment online. Pancreatitis is the name for an inflamed pancreas, which can cause mild to severe pain in your abdomen. Pancreatitis can either be acute or chronic. Your abdomen houses most of your major organs, each of which is susceptible to cancer. When cancer strikes, it’s often accompanied by abdominal pain. For cases of chronic pancreatitis and abdominal pain associated with cancer, the doctors at Regional Pain Care Center often turn to a splanchnic nerve block. Your splanchnic nerves are located on either side of your spine and they act as the main conduit between your brain and your organs, relaying pain messages. By blocking these nerves, the doctors are able to interrupt the signals, leading to less abdominal pain. As with abdominal pain, the list is long when it comes to pain-causing problems in this area. The doctors at Regional Pain Care Center are mostly concerned with chronic pelvic pain that doesn’t respond to other treatments. The pain may be related to a hernia or a surgery that affected one of the major nerves in the area. These two nerves are housed in your lower abdomen and groin area and can often be affected by hernia, appendix, or gynecological surgeries, to name the most common. If you’ve had surgery and you’re experiencing nagging and chronic pain in your pelvic area, the doctors can prevent pain signals from being sent to your brain by blocking these two nerves. The doctors turn to a ganglion impar block in cases where you experience pain near the terminal section of your spine, or coccyx. This pain, which is also called coccydynia, is largely associated with sitting, and the block works on your sympathetic nervous system. By injecting and numbing your ganglion impar, which provides passage for a number of nerves, the doctor is able to alleviate your pelvic pain. To learn more about treating abdominal and pelvic pain, call Regional Pain Care Center, or use the online booking tool to schedule an appointment.